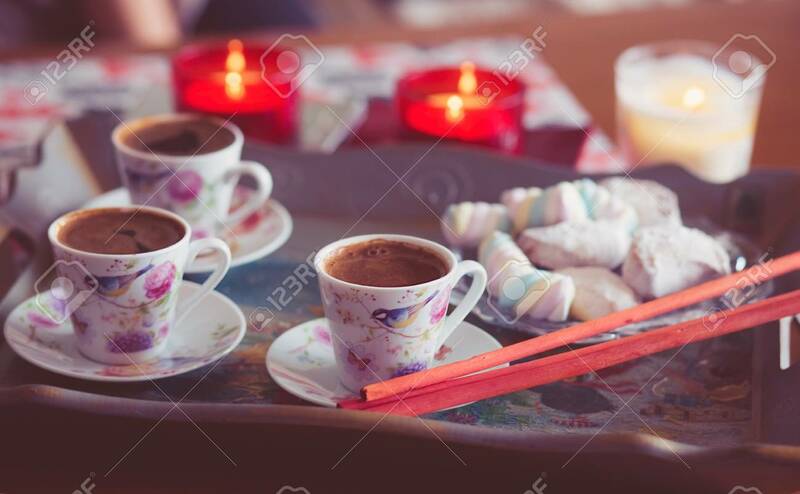 Turkish Coffee, Marshmallow And Cookies On A Tray With Candles. Photos Are Tinted And With A Vignette Lizenzfreie Fotos, Bilder Und Stock Fotografie. Image 99737075.